Global Seminars: Day 6: Free day! Today was our first free day of the trip, meaning the first thing we did was sleep in! It’s been a pretty exhausting trip so far. Once everyone was awake, we split up into different groups going to do different activities. One of the groups went to a museum and looked at unique looking animals. 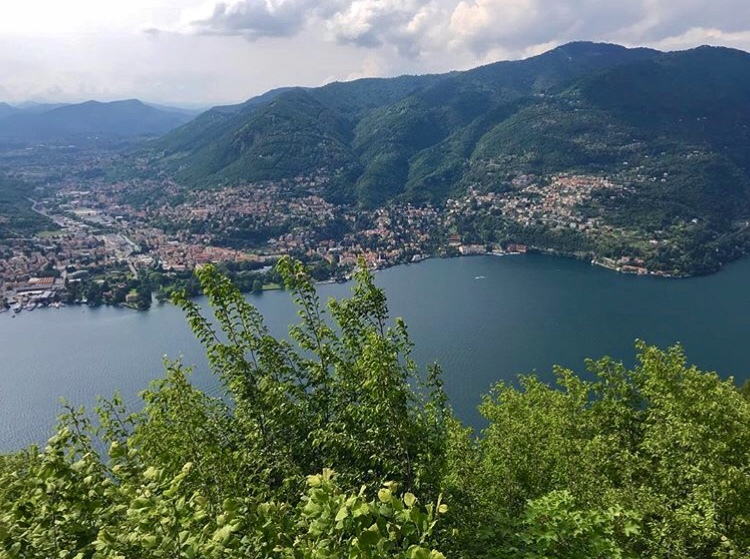 Another group took a one hour trip to Lake Como, which led to a spectacular view. The last group went shopping in the city center of Milan. Although we didn’t buy much, we loved the opportunity to explore the busy streets surrounding the Duomo plaza and the fashion district. 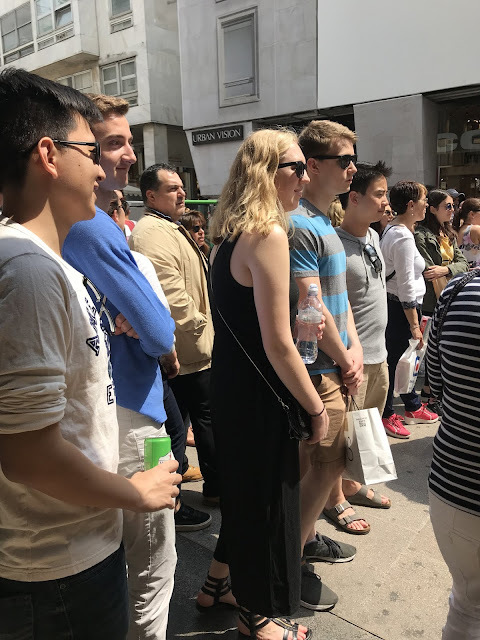 Because of the high tourist population in the area, there were a lot of souvenir shops and street performers for us to look at. We took a break from our shopping to watch a couple of street dancers. After exploring and doing some souvenir shopping, a group (and our professor Jerry) took a trip to Chinatown. 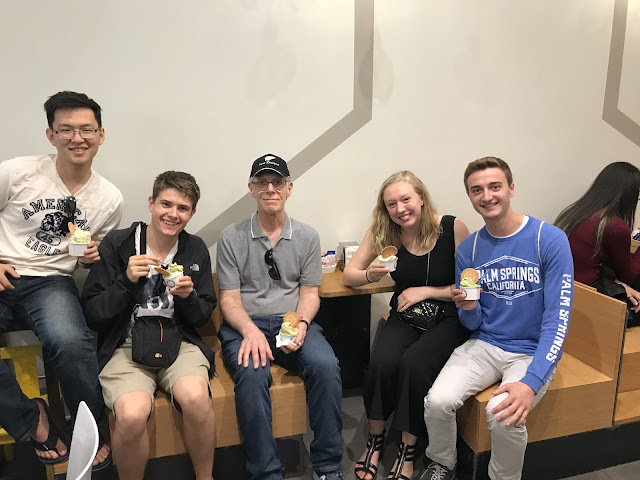 This excursion led to attempts at the Chinese language, delicious bowls of ramen, and ended with gelato! Beside the rainy walk back to our hotel, it was a spectacular last day in Milan and we are looking forward to traveling to Genoa tomorrow morning!